Make 48 of the star nine patches. Make 36 of the split nine patches. Choose or cut 72 strips (2 1/2'' x 18'') from you scrap bin. Press them if needed and sew them lengthwise into 24 sets of three. Sew the strips into 26 sets of three. Layer the strip sets as shown, staggered to prevent the seams from being directly on top of one another. Cut across the strip sets at five inches. Then slide the ruler back and cut across the strip sets at 2 1/2''. Repeat all the way across the strip sets. Repeat until the strips are all cut into 2 1/2'' sections. Cut a total of 180 sections. Sew these together into nine patch blocks. Make 60 background nine patches. Design note: I used all white on white prints for my backgrounds mostly because I found a stack of fat quarters in the back of a bin that I had forgotten I had. Many of them were from the same fat quarter bundle and were super similar in colors and design scale. I purposely went through my scrap bin and my other white fabrics and chose additional fabrics that were more creamy or different shades of white. I also chose some that had very large scale prints and geometric prints rather than the small scale floral and dot prints from the bundle. Adding variety of shades and scale prevents too much blending. Why do all this work if it's going to look like one fabric? Add things that will 'pop' or 'stand out' just a bit to keep things interesting. If in doubt, throw it in the mix, it's those fabrics that you think might not work that end up being the magic! So go for it! To make the triangle squares (or half square triangles) layer a background strip and a star fabric strip RIGHT SIDES TOGETHER. Trim the ends with a clean cut. Then place any 45 degree ruler on the strip pair as shown. If you don't have a 45 degree ruler, I recommend this one but any brand will do. I have several and use them all! After making the first cut, rotate the ruler and cut again, then continue rotating and cutting. This is a great time to use up some of the leftover strips and shorter strips as I did here. You will need three of each to make a block. 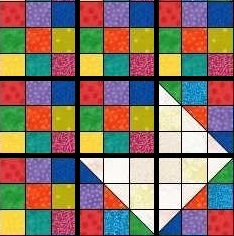 Arrange the square as shown above and sew them into three rows of three. Make 36 split nine patches. Using 9 of the background nine patches, sew them together into a nine patch. Using 3 background nine patches, 3 star nine patches and 3 triangle nine patches as shown above, sew them into a nine patch. Using 6 star nine patches and 3 triangle nine patches, sew them together into a nine patch. Sew these large nine patches into four rows of four as shown above. 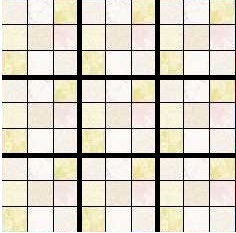 Option 1 uses 8'' x 10'' border blocks and 10'' corner blocks. All strips are cut the same size and pieced the same way as the nine patches are, the blocks are just sewn in four rows of five as shown above. Make 36 border blocks and 4 corner blocks. Option 2 uses 8'' blocks. All strips are cut the same size and pieced the same way, the blocks are just sewn in four rows of four as shown above. Make 36 border blocks and 4 corner blocks. Option 3 uses 6'' blocks just as the rest of the quilt. 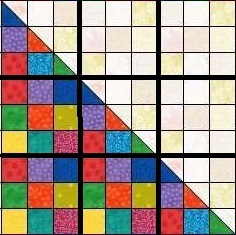 The border blocks and corner blocks are shown above. Make 48 border blocks and 4 corner blocks. 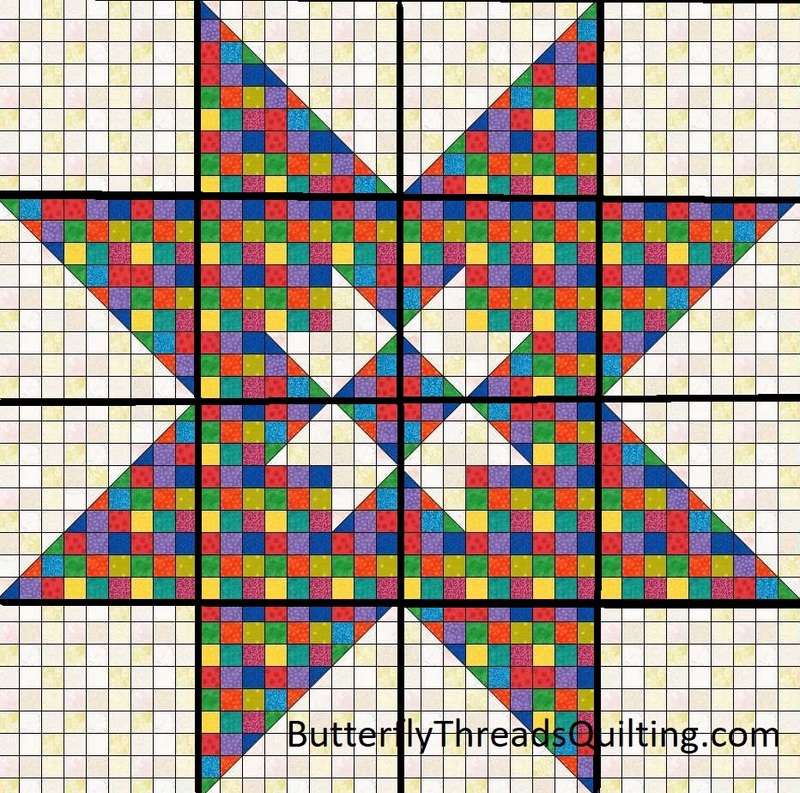 Whichever option you choose, I hope you have fun making this scrappy star quilt! PLEASE NOTE: please do not reproduce, distribute, copy or sell this pattern. It will be available here for a limited time, please download it now if you would like to keep a copy for yourself. If you would like to use this pattern for a guild or group sew along, please contact me for permission. I don't see a link for the printout. Did I miss it? OOps! I missed that it was a download. I got it. Sorry, but I can't seem to get used to looking for that blue arrow. I have just found your blog. 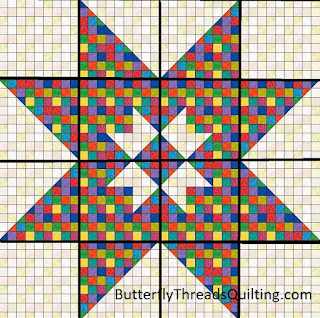 Thank you very much for this great scrap quilt pattern. I just found this beautiful pattern but am not seeing the download or print button, can you help? Thanks so much for the beautiful pattern!! I love it!! !